While there were few options available for commercial roofing at one time, the roofing industry has undergone a number of significant changes. 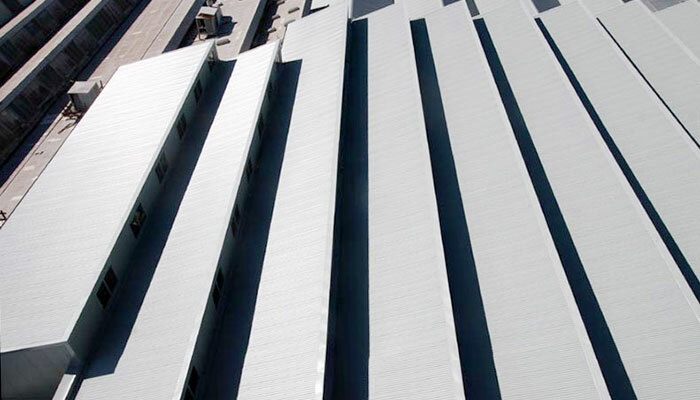 This has resulted in a numerous amount of trends appearing for commercial roofing. Given that commercial roofs need to last for quite a long time while holding up to the presence of heavy-duty machinery and roof-access doors, the following new trends may prove to be excellent long-term investments for you and your property. Implementing a sustainable roof is currently one of the biggest trends on the scene today in commercial roofing. An increasing number of businesses today are working to remain competitive by implementing energy efficient measures. One way to do this is by choosing a new roof that boasts a green designation. Metal roofing has also grown quickly as a popular roofing choice for commercial properties. One of the reasons that metal roofing has grown so rapidly in favour is due to its energy efficiency, durability, and lightweight design. Additionally, metal roofing also offers the benefit of being recyclable. Compared to traditional asphalt, the initial installation cost of metal roofing is more expensive. Even so, metal roofing can often help to reduce energy costs by as much as 40 percent. Business owners may also find that metal roofing is beneficial in that it reduces smog and the heat often associated with urban islands. Sometimes referred to simply as TPO, thermoplastic polyolefin is constructed of a single-ply ethylene propylene rubber. This is a synthetic material that has become quite popular for commercial roofing applications because of its energy efficiency. Business owners who are considering replacing outdated materials may find that TPO is an excellent choice to consider. The latest TPO products can also be combined with hot-air weldable seams. While the benefits of going green are undeniable, many business owners want to make the transition in the easiest way possible. Cool roofing makes it simple to take advantage of greater energy efficiency through the use of lighter colours. The science behind a cool roofing system is fairly simple and straightforward. Light colours reflect light while dark colours absorb it. Among the most popular hues now gracing commercial roofs are off-white, blue, and even warm neutrals. A number of homeowners have made the switch to solar roofing in recent years. Now, business owners are taking advantage of the opportunity to reduce their energy consumption by installing solar ready roofing. Given that most commercial roofs are flat by design, they are often ideal for the installation of solar equipment. Even if a business owner is not quite ready yet to install solar equipment, an increasing number of projects are now working to reduce the cost to install equipment by ensuring the roof is ready for solar equipment from the beginning. As roofing materials continue to evolve, ensuring that you are informed and prepared can help your business to take full advantage of the latest trends. Choosing to work with a professional roofing company that is well versed in upcoming trends can also help you to select the most cost-effective and safe roofing options possible.